A key principle of historic preservation is the power of places; a conviction that extant places matter and that they can inform current generations about the lives of people and events of the past. For over one hundred years, professional preservationists and local citizens around the world have advocated for the preservation of architectural monuments and places where famous people lived or where momentous events occurred. In recent years, the focus of preservation has expanded to include more diverse buildings, people, and stories. But the preservation of sites of importance to the LGBTQ communities has lagged until recently. It was not until 1999 that the first LGBTQ site, Stonewall, was listed on the National Register. In North America and parts of Europe activists have been engaged in identification and interpretation or reinterpretation of LGBTQ sites, but this has been a slow process and in many parts of the world, where LGBTQ rights are suppressed, such examination would still be an impossibility. 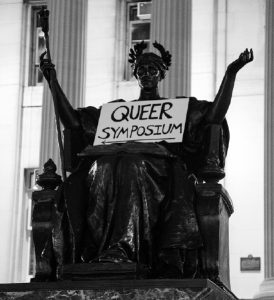 This symposium examines the progress and challenges of preserving sites of significance to LGBTQ communities and, by extension, to the heritage of cities and nations around the world. The symposium is co-sponsored by the Columbia University School of Architecture Planning and Preservation and the NYC LGBT Historic Sites Project.